Hair Transplantation is getting more and more popular with each passing year and the treatment has evolved into an easy operation with perfect results as long as it is applied by a good hair transplant or hair loss surgeon. However, as in all treatments, hair transplantation may also differ in effect among various people. 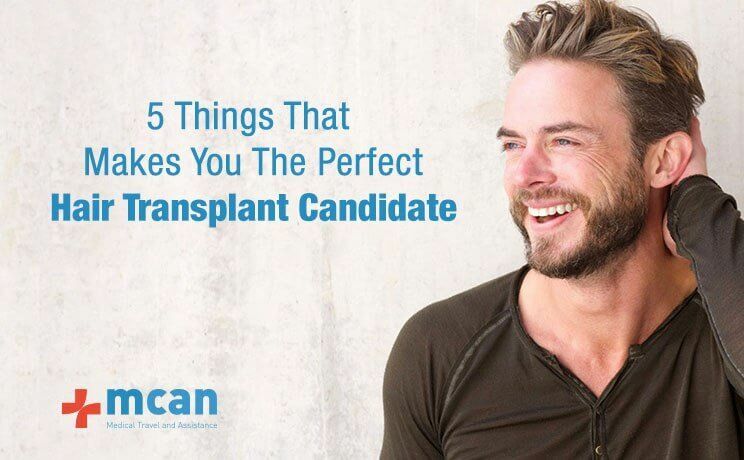 So, let’s see what important factors determine the success of your hair transplant and how many of them describe your condition before you may start your free consultation which will be resulted with transplanted hair in Turkey by MCAN Health. 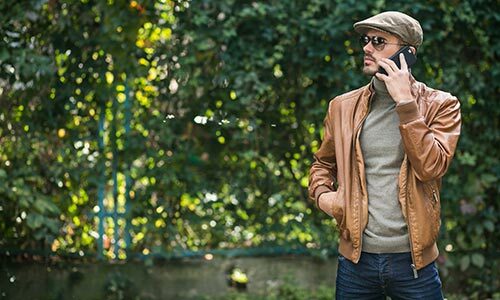 The type of your hair loss is directly connected to your accordance with a hair transplant in Turkey. Actually, the way you lose hair tells you how to get it back. Some types of hair loss can be completely related to the season, a stressful period in your life, hormonal changes, certain drugs, your diet and etc. There is a good chance that you may get back the hair you lose after the cause disappears. So, these types of hair loss are most probably temporary ones and you need to watch the duration of your hair loss treatment. Then, you can decide if you need a hair transplant or not. So, first things first, you should not panic but try to understand the cause and the duration of your hair loss experience. Basically, hair transplant is a method of replacement. No hair transplant surgeon can come up with a good result if the patient has not a donor area with sufficient supply. Thus, all the best hair transplant surgeons say that they can only work with what you already have. So, what makes a good donor area? The donor area is the area on the back of your head. A good donor area should contain enough hair follicles for redistribution. In male pattern baldness, this area is mostly not vulnerable to hair loss. The balding or thinning area is called the recipient area where the hair follicles are replaced to. Without enough supply of hair follicles, recipient area will not receive enough hair for transplantation. However, having a professional opinion on your donor area is a must if you are planning to have a hair transplant. To see if your donor area is suitable for hair transplant, you can contact us, send the pictures of your scalp and get a free consultation anytime. By this one, we mean the skin covering the top of your head. Some people have a very tight skin there while the others can have an elastic one. The rule is: the more flexible your scalp, the better results you can get from a hair transplant. The reason behind this rule is quite reasonable. The tightness on the scalp will make it harder to insert new hair follicles due to the resistance of canals to be completely open. Moreover, only thin hair can be transplanted which may lead to a weak hair growth. However, a flexible scalp is very suitable for canal opening and the thick hair can be transplanted easily. Naturally, this means a higher success in hair growth. Hair transplantation is a very competitive field of business. Many promises can be made but not done. You should know that hair transplantation is not a method that grows hair out of nowhere but taking the hair you already have and insert it to places without it. So, the points mentioned above may all affect the results. So, it is better to know what your donor area, scalp flexibility, and hair loss type is capable of. It is crucially important to have a professional opinion. You should follow your doctor’s instructions and do not expect more than that. As Istanbul has become one of the centers for hair transplant in Turkey, you will see lots of clinics and providers around with lots of different offers and promises. While planning to have a treatment abroad is a big decision, choosing your own hair transplant or hair loss treatment is a bigger one. So, how to choose the best hair transplant in Turkey? 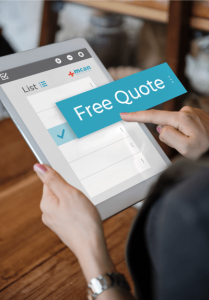 As the first medical travel company to be accredited by the Turkish Ministry of Health, MCAN Health suggests you look for governmental approvals such as accreditation and membership such as TURSAB (Association of Turkish Travel Agencies). This kind of signs indicates that the quality of service and treatment of such companies are high quality and approved by the Turkish government with periodical examinations. Also, it is recommended to get enough information about your doctor, read genuine company reviews and take a look at balding or thinning hair transplant results and their authentic before and after pictures. It would recommend you to get all necessary before and aftercare instructions in your hair transplant surgery and check 6 important points to consider before hair transplant in Istanbul, Turkey before starting this amazing journey. Do not forget this: Each patient is special and requires different or advanced pigmentation methods individually. For that reason; you may ask your questions to chat below or you may prefer to call us directly from contact numbers.